In large bowl mix all of the above. Pat into a loaf pan and bake for about 1 hour or until done. You can also use the microwave. 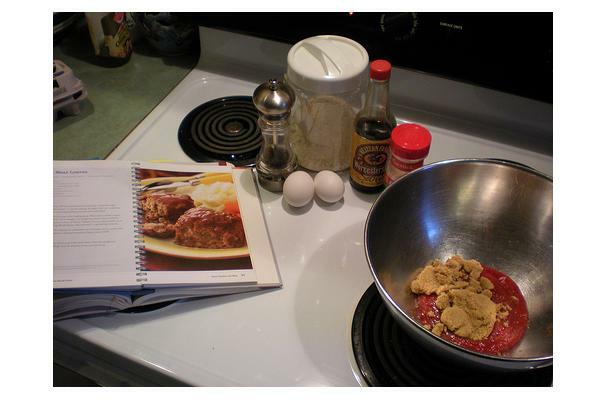 But pat the meat mixture into a "bundt"
Enjoy. This is a good weight watchers meal.